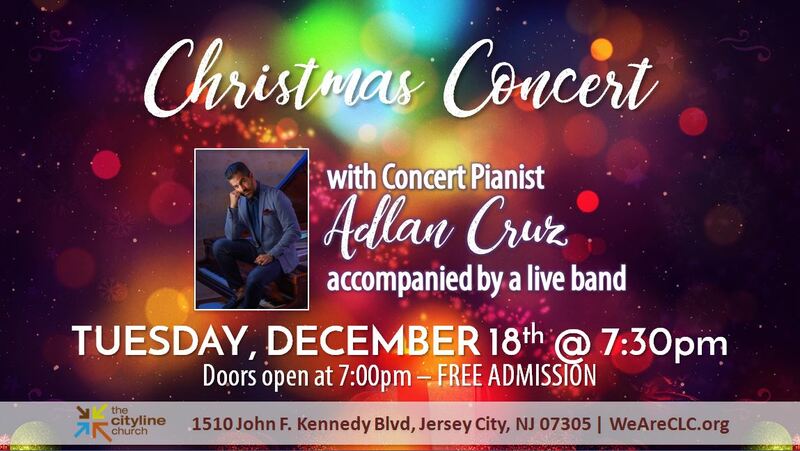 You and your family are invited to a Christmas Concert with Concert Pianist Adlan Cruz, accompanied by a live band, on TUESDAY, DECEMBER 18th at 7:30pm. Come enjoy a great time with your family! Admission is FREE. We look forward to seeing you!